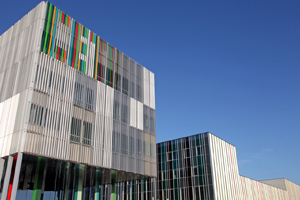 Driven by the development of its metropolis, Lille has established itself as a flagship destination for business tourism. With a reputation that now extends far beyond Lille’s borders: Since 2014, the Capital of Flandres has been in the “Top 10” French cities hosting European and international conferences. Lille is recognised for its sense of hospitality and its cultural offering. With over a million inhabitants, it is daring, innovative and constantly reinvents its art, sport and festivities … so that there is always something to do. All of these elements make Lille an ideal destination for your business trips ! Lille is ideally placed. Less than 60 minutes by TGV from Paris, 35 minutes from Brussels and 80 minutes from London. At the heart of Europe’s largest consumption area, the city of Lille lends an international dimension to events. The Lille-Europe and Lille-Flandres TGV stations, which are 400 metres away, provide regular traffic to around 100 destinations. 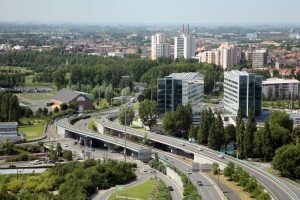 Lille is located near 3 international airports : Roissy Charles de Gaulle (50 min by TGV), Brussels Zaventem (60 min by TGV) and Lille-Lesquin airport which is only 15 minutes by car from Lille Grand Palais and which serves over 50 national and international destinations, several times a day. As far as infrastructure is concerned, the Métropole offers over 8,500 rooms from 2* to 5*, of which almost 4,000 are within 10 minutes’ walk of the TGV stations and therefore from Lille Grand Palais and 15 minutes’ walk from Lille Grand Palais. A pioneer in the distance selling, distribution and e-commerce industry, the Region has been labelled “French Tech” territory. In the centre of Europe’s largest consumption area, it is the ideal destination for companies. Dynamic SMEs, young start-ups, the presence of multinationals, incubators and accelerators in full expansion, the Lille metropolis is the cradle of major players in wholesale, with over 70 distributors’ headquarters : Auchan, Decathlon, Oxylane, Leroy Merlin, Castorama. It is the European capital of distance selling and e-commerce with over 200 distance selling companies, 160 digital companies (presence of Amazon, Booking.com, Egencia).